EducarUno is a social enterprise that aims to contribute to the integral development of the human being from the emotional, academic, technological and familiar aspects, through the establishment, improvement and implementation of practical educational models and self-sustainable and replicable concepts that offer excellence and quality level world. The challenge faced by ClickIT with this project was setting up an integral and full system where an specific issue was to consider the user experience to engage people and also to show a simple, intuitive, fast and attractive interface with full functionalities. All these characteristics inside an auto­scaled group of servers protected by a private network, while being able to communicate to the outside world with the bank authority. 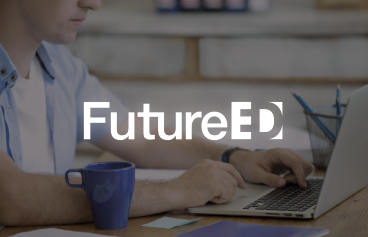 FutureED has a 10,000 monthly traffic of users and in a year the traffic will grow till 50,000 users per month, they can create courses and sell them, enrolling courses and enhancing skills, selling physical products too, and sending them by post office, using classical payment methods and digital ones through banks, and affiliates. Users have a chat where they can keep in touch with registered users into the courses sharing information, having a conversation about the course, and having feedback. The owner can create, full exercises, tasks, uploading files and evaluate their students, with this FutureED is achieving its goal, which is, join education with people and create a better standard living.